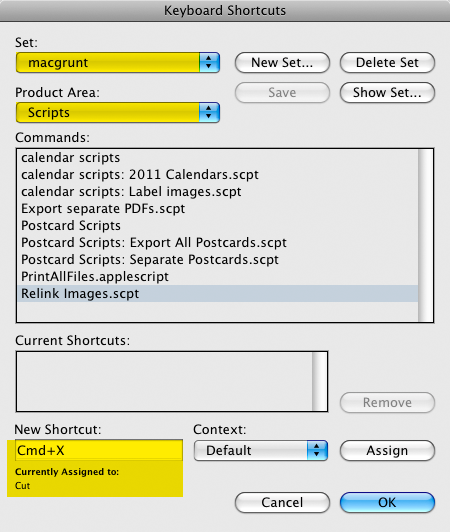 keyboard shortcuts activate commands without the need to access a panel or menu. if you take the time to learn even just a few you will increase your productivity — freeing up more time for creativity or whatever else you prefer to do with your valuable time. so, this post is going to be about keyboard shortcuts, but you’re not going to be given a list of maybe-helpful shortcuts. why? because, firstly, there’s already a plethora of shortcut lists out there — google is your friend — secondly, because lists do not help you find the shortcuts that YOU need for your working situation. 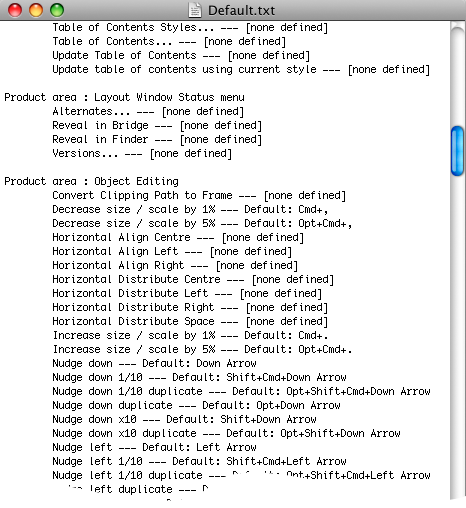 instead, this post is about how to find the so-called ‘hidden’ (you haven’t looked for) and ‘little-known’ (others haven’t looked for either) keyboard shortcuts. more importantly, it is also about how to create your own set of shortcuts for your most often used commands. 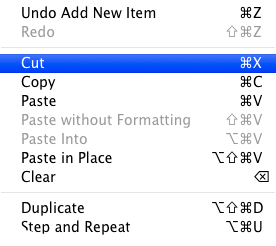 once you start setting up shortcuts appropriate to your own workflow, you’ll never look back. if you have a brain the size of a planet you could assign a shortcut to every possible command and never have to use a menu or panel again. go sick. 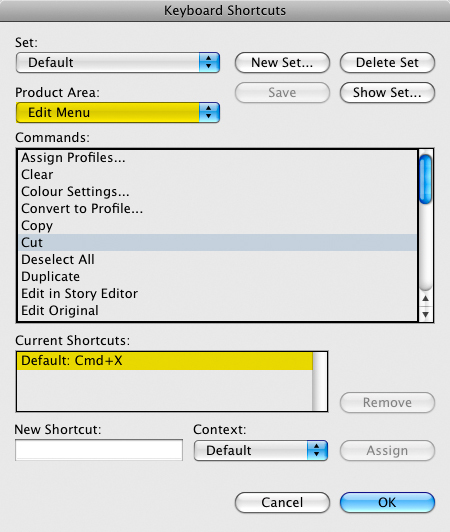 This entry was posted in indesign, indesign tip and tagged adobe, how to, InDesign, keyboard shortcuts, tip, tutorial by macgrunt. Bookmark the permalink.